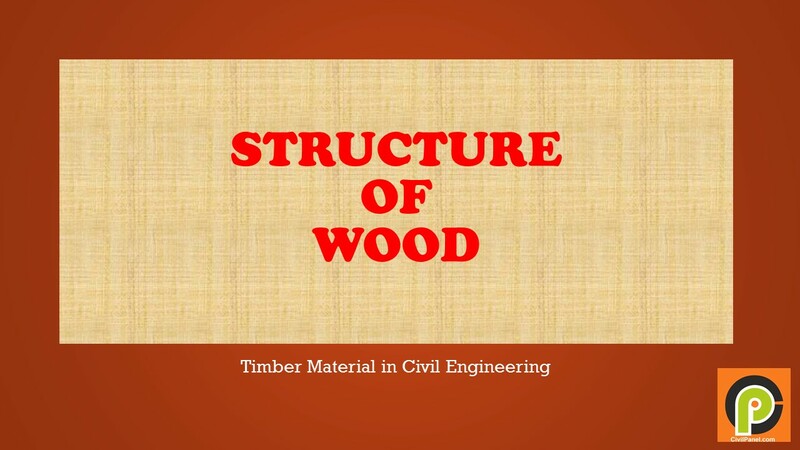 Timber refers to wood that best suitable for engineering work or for building work. Wood is a material by which we can shutter, and used for making goods like furniture and many other material which is more attaractive and affordable than other material. Wooden houses are most popular in japan. Because it is very cheap, reliable and in light weight and reusable some time so it is used mostly at desired place. The tree which having small stem and generally the height is straight and never seen many branches and timber obtained from that tree is generally never used for engineering work. The tree which having lots of branches and generally circumference of stem is big in size. Some tree falls their leaves in some month of a year. These are evergreen trees and having light in color, light in weight and soft wood which is weak in nature so we can’t use the wood of these tree. These are hard wood tree and leaves of these tree falls in autumn and come back in spring. These are best and useful for engineering work because of hard wood property. The structure of wood which can easily seen by naked eye or with small magnification is called macrostructure of wood. 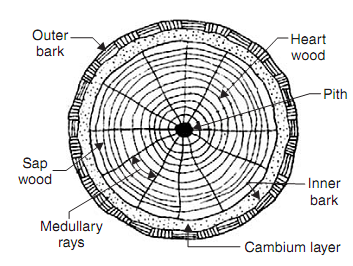 The macrostructure having pith, Heart wood, sap wood, cambium layer, inner bark, outer bark and medullary rays. PITH: Pith is the inner most portion of the tree, its size, shape and color varies from tree to tree. It is also called medulla, it is responsible for the nutrition the plant at young age and after a long time the pith dies. HEART WOOD: It is annual inner rings which is outer portion of pith and formed annually. it dead after formation of outer ring so dark in color and responsible for the stability of tree, due to hard property. SAP WOOD: Sap wood is the outer annual rings and it is active part which moves sap upward. Due to activeness it is light in color and indicates freshly made. 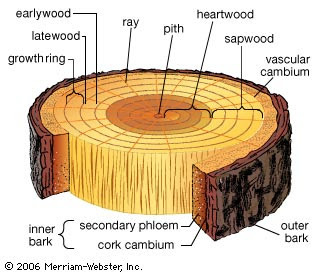 CAMBIUM LAYER: It gives sap to sap wood, it contains fresh shape which is responsible for the life of tree. It is middle part of sap wood and inner bark, if bark is removed then cambium fail to provide sap to tree, and tree would be dead. INNER BARK: It protect the cambium layer. OUTER BARK: It is outermost part of tree which protect tree from any damage and withstand property with any weather, it also protect inner portion. It is also called cortex. MEDULLARY RAYS: These are radial rays fromed from pith to cambium layer. It holds the sap wood and heart wood. In some tree it can be seen as broken. The wooden structure which is seen by microscope or any other magnifying instrunment is called microstructure because it is very small in size which can’t be seen by naked eye . The dead and living part of wood is seen and studies in the microstructure.